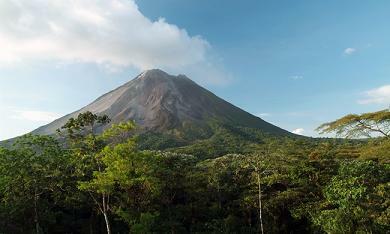 The weather never did clear over Arenal, so although we saw a lot of it, we never got one of those magnificent vistas. 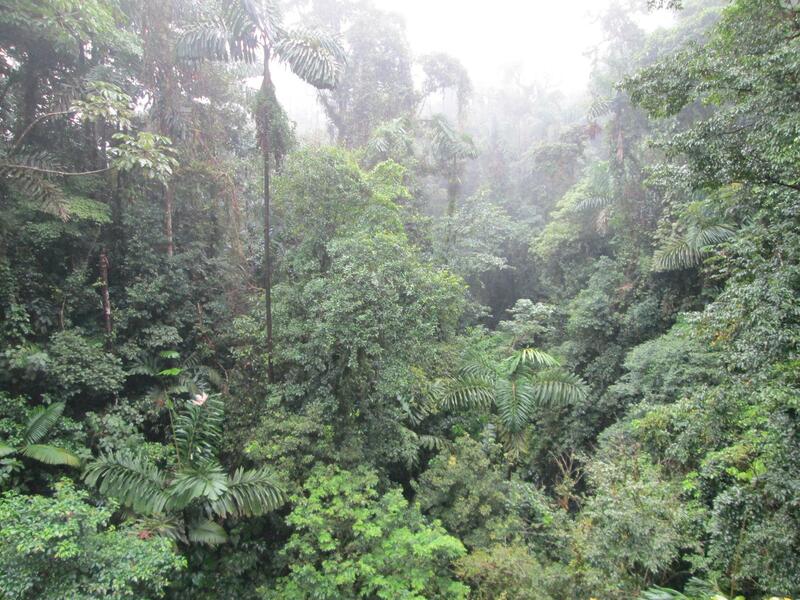 Still, the views we had of the forests on the volcano’s slopes were impressive. 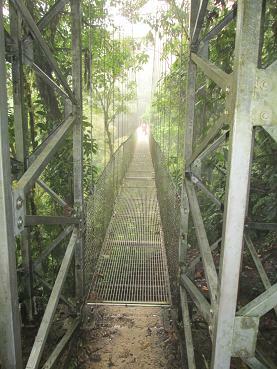 We took a tour into the cloud forest this morning, crossing bridges like this one. From these bridges, we saw views like this. 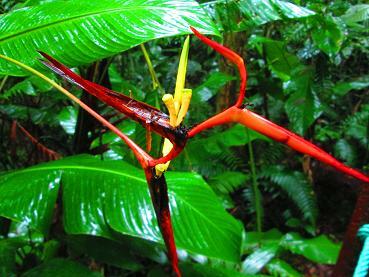 The cloud forest is mostly green, but there are occasional flashes of color. An incredible variety of lichens and ferns and epiphites grow here on exposed sections. There are dozens of different types of little green plants covering every inch of exposed earth. 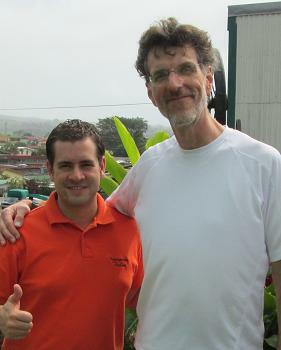 Other people in the tour saw toucans and wild pigs and vipers. As usual, all I saw was green plants. We left the cloud forest and drove over the mountain divide, leaving behind a few days of cloudy rainy weather and in less than five minutes were greeted by clear sunny skies, dry ground, and an entirely different environment – a completely different group of plants. it was amazing how quick and sudden the change was. 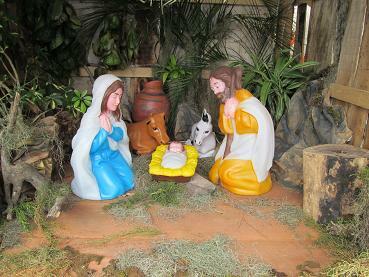 Catholicism is the official religion of Costa Rica, and, being Christmas week, there were creches everywhere. They ranged from the fancy and artistic to the basic, like this one here at the restaurant. Then it was off to the Pacific Ocean.